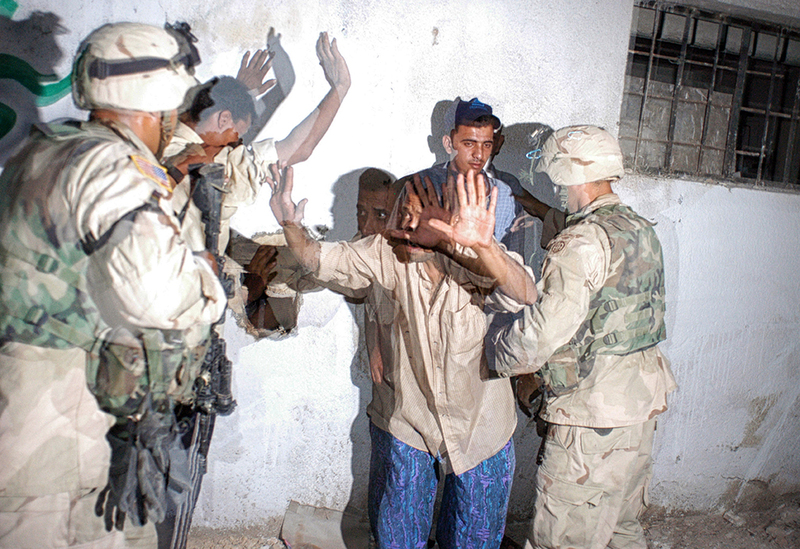 United States soldiers with the 82nd Airborne, 2nd Battalion guard men they have detained for carrying weapons and driving while intoxicated during a night patrol in Bagdad, Iraq, May 15, 2003. Soldiers throughout Bagdad are working with Iraqi Police officers to help maintain order and get Iraqi officers back on the street. Since the fall of the regime lead by former Iraqi leader, Saddam Hussain, Bagdad has seen high crime rates and major shortages in Petroleum, electricity, and water.